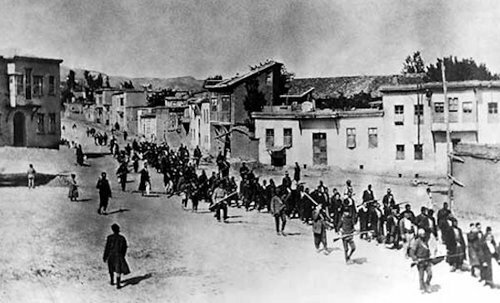 The Central Council of Jews in Germany has called on the German government to recognize the World War I mass murder of over one million Armenians in what was then the Ottoman Empire as a genocide. Schuster said the Armenian genocide later served Adolf Hitler and his Nazis as a blueprint for the Holocaust. The main German parties, CDU and SPD, have so far been reluctant to use the term genocide because they fear a conflict with Turkey. Meanwhile, Turkish President Recep Tayyip Erdoğan said his country would will ignore any decision by the European Parliament qualifying the 1915 killings of Armenians as genocide, saying such recognition would go “in one ear and out from the other”. The European Parliament is due to vote on Wednesday on a “motion for resolution on the commemoration of the centennial of the Armenian genocide”. “Whatever decision the European parliament makes today would go in one ear and out from the other because it is not possible for Turkey to accept such a sin or crime," Erdoğan told reporters. Earlier this week, the Turkish leader had lambasted Pope Francis for using the word 'genocide' in his prayers on Sunday. Turkey also summoned the Vatican’s ambassador in Ankara and recalled the Turkish envoy to the Holy See in a show of protest. On Tuesday, the United States called for a “full, frank” acknowledgement of the mass killings while shying away from calling it a genocide. Armenians around the world will commemorate the 100th anniversary of the beginning of the tragedy on 24 April.